The long awaited “mad project” of the Prime-Minister Erdogan was finally presented yesterday with a stage show. Couple of weeks ago, he confused the public opinion about the project by referring to two new cities planned to be built in Istanbul. The media assumed these two new cities actually were the big mad project. Yet, after yesterday’s presentation we have learnt that the project is much bigger than just building new cities out of scratch. Yes, it includes the construction of new cities, a mega airport for 60 million passengers a year, and is connected to the hotly debated third bridge project. But the main emphasize of the project is to open up a canal (similar to Suez or Panama) in the European side of Istanbul between the Black Sea and Marmara, 45 to 50 km long, 140 m wide and 25 m deep, which would provide to the ships and tankers passing the Bosporus an alternative route. Following two years preparation, the project is estimated to be finalized in 8 to 10 years, by 2023 (the 100 years anniversary of the Republic). As the Prime-Minister himself told, this is a multi-dimentional project, with elements of urban development, environment, transportation, energy included. The starting point of the idea, which dates back to the Ottoman Sultans, is to provide an alternative route to the Bosporus for large ships that constitute a great environmental danger for the environmental and historical heritage. With this project, Istanbul will become an island and two peninsulas, and the one and only city in the world in which two straits of sea passing through it. As the project has not been fully exposed, we can only make an initial evaluation. Clearly the project is an election investment for the prime-minister, trying to feed new energy into his election campaign, not only for the approaching general elections but also for the next local elections possibly. The presented project raises more questions than the answers it provided. This project and the way it came into being clearly shows the limits to democracy in this country. Erdogan openly stated that this project is his dream, including his friends. Civil society, political community, nor Istanbulites were not part of the decision-making process of this madness. The decision was made behind closed doors hidden from the public, the concept work for the project were made without any consultation and now only at the stage of presenting the personal dream of the Prime-Minister, the information is being shared with us, the citizens, and we are expected to share his dream. How come on earth can Istanbul be a playground for one man, in a supposedly democratic country is a big question waiting to be answered. Now we have all shifted our focus on this one big madness. Yet, Istanbul, as of today, going through many other madnesses, which have been heavily criticized and opposed by urbanists, environmentalists, activists, citizens etc. One of them is the Third Bridge Project, which will pave the way into uncontrolled expansion of the city and loss of natural and water reserves. Another madness is all those Gecekondu renewal projects that have already forcefully evicted thousands of poor inhabitants and transfer their land for real estate developers. Or what about Galata Port and Haydarpasa Port Projects that aim to privatize public land and limit access to the seaside for Istanbulites? Unfortunately, The grandiose madness normalizes the other madnesses in the city. This vision of city, marketing Istanbul through mega projects, is representation of and playground for a certain ideology. Neo-liberal cities around the world want to provide a suitable environment for foreign investment, divert public resources for the market and create capital friendly cities with high rate of growth and development. Yet, this vision of urbanism, proved by existing examples, is hostile to its common people, its heritage and environment. Thus, we need to unpack the ideology behind the project and position ourselves accordingly. When we consider the project together with the 3rd bridge and the new city that is planned to be built at the Northern end of the canal, the ecological impacts have to be assessed carefully. Clearly, the carbon footprint of Istanbul will skyrocket with the project. Even-though Erdogan legitimizes the project based on the environmental risks the current Bosporus passage carries, it is not clear how shifting the traffic to a parallel canal would mitigate the existing risks, other than transferring it. These mega projects never help to improve the social justice in the city. Istanbul is already a divided city. Rich lives in the gated communities and poor lives in gecekondu neighborhoods and TOKI blocks. And the city is loosing its relatively class-free neighborhoods. The gap between rich and poor is ever increasing, now that over 30 billionaires living in the city. Canal Istanbul and the new city project will only increase this gap. Moreover, it will attract migration to the city to the levels no one can estimate. By 2023, with natural growth, the population is already expected to reach somewhere around 25 million in Istanbul and its neighboring towns. With this project, it is probably will be over 30 million, which means further stress on the urban planning, development and governance. This project (including the third bridge) is not included in the master plan of Istanbul. Here we have a project with tremendous impact on the city without integrated into the overall vision of Istanbul. From urbanism point of view, this is as mad as it gets. Actually we are accustomed to this sort of neo-liberal urbanism in Global City wannabes, for instant in Dubai. Yet, Istanbul has always been an impressive world city, which is an embodiment of a dream itself, a dream which does not need another grandiose dream to hang on to it. And this great world city has already experiencing and trying to find a way out from very humane, ecological, real problems. With the fraction of the investment planned to be made, many of those problems can be solved. Moreover, Turkey does not only consist of Istanbul. There are different levels of development in the country. As one goes further into the Anatolia, to further east, the more poverty and lack of social development becomes visible. So, do we really need billions of dollars of investment into a man’s dream, while millions of children and families are waiting for basic urban services to be provided in Istanbul and elsewhere? With these measures, edges are re-drawn via environmental forces, boundaries are reinvented as social connectors, and limits are reset to shorten energy cycles. 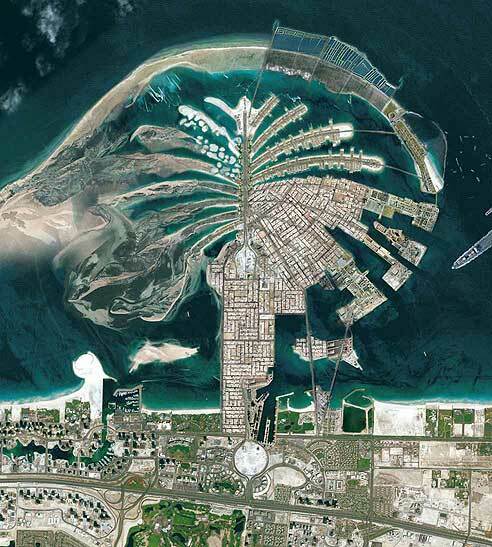 Expanding, thickening, feathering, and scattering boundaries, here exemplified on The Palm Jumeirah, will allow Dubai to form the robust tissue of a diverse, open metropolis, which it so desperately aspires to be. This canal istanbul project, and other Erdogan projects like the two new urban centers for istanbul reminds me of Stalin’s mega projects for Moscow and Hitler’s Welthauptstadt Germania plans. That being said, this project is none of the things it is proposed to be. It is not greater than the Suez or Panama canals by any strech of the immagination, it has no real purpose, and it will definately not be able to pay for itself. I discussed these in more detail myself, but suffice it to say that all this project will do, if realized, is become a financial disaster, and a scar on Istanbul’s landscape. I’m no expert, but it seems that İstanbul should focus more on better managing the sprawling populace that is already here. Why not invest these massive new projects in other Turkish cities, providing an incentive for people to live there. You can’t have a country as large as Turkey where everyone wants to live in the same city. I’ve traveled around Anatolia. It looks like those other cities could use some jobs and money. Just a thought. Love the post. Very informative. Thank you for the comment. 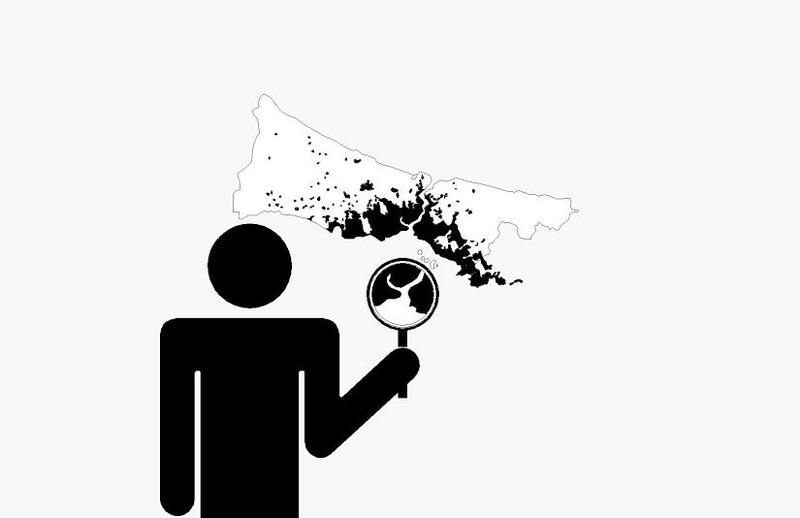 You are right, there is a phenomenon of uneven geographical development in Turkey. Clear division between the west and the east, the coast and the interior, Istanbul and the rest. The problem is with the development model that is being followed: Turkey is trying to attract the global capital, which is circulating around the globe, looking for the most investment friendly geographies. Istanbul, aiming to become one of the major global destinations for capital, has the competitive advantage in Turkey. So, I see the clash as basic as the one between capital-friendly development versus human-friendly development. 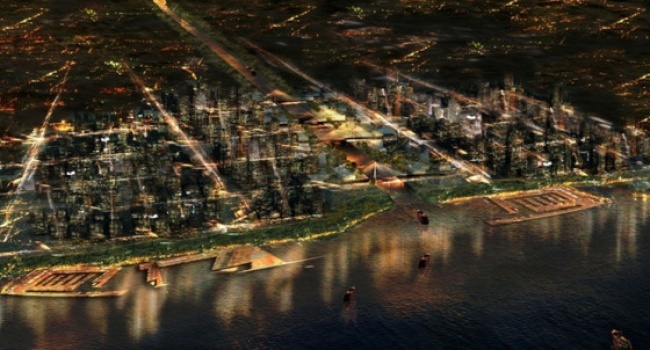 Well construction on Canal Istanbul will commence in May 2013.